Awesome church websites are certainly about more than a pretty design, but a pretty design certainly doesn’t hurt anything! In fact, a beautifully designed church website builds credibility and trust with potential first-time guests who are used to browsing the internet and seeing the best that the web wide world has to offer. I’ve said that the best hosting for an awesome website is SiteRubix and that the best platform is WordPress. Once you’re set up with WordPress, there are two approaches to choosing a theme, and each has its merits. You can go with a free theme, supplied by WordPress under the Appearance section of the dashboard. Some free themes look great, but the ones that look the best are usually pretty basic. That’s because to get all of the functionality the theme has to offer, you usually have to spend $35 to $150 to upgrade to a “premium” version. In fact, I’m a big believer that the best, most well-coded themes are premium and will cost you a small investment. 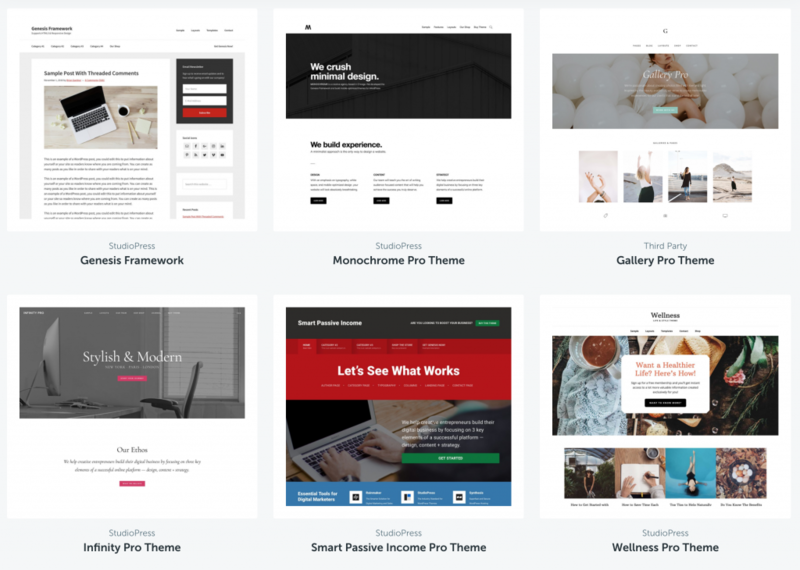 Rather that try to list all of my favorite themes, I’ll list my favorite sources of premium WordPress themes. My recommendation is to click through and browse each collection. It’s important to keep in mind that most themes designed “for church websites” are just like any other theme, but the theme’s creator has been smart enough to call it a “church” theme. In reality, you can take any theme and make it easily fit a church’s needs. I’ve been using Elegant Themes almost as long. Nick Roach, the founder and creator, is a great guy and he and his team have built an absolutely awesome collection of themes and plugins, especially the Divi Theme! I’ve been using Studiopress for developing church websites for close to a decade now. Our award-winning church website runs on one of their Genesis Framework themes. I can’t recommend them highly enough! Themedy is slightly different from the rest in that they are built on top of Studiopress’ Genesis Framework, so you would need to purchase Genesis first and then ust Themedy’s themes as child themes. My Theme Shop is a relatively newer marketplace, for me at least, but I’ve been solidly impressed. I’ve used a couple of their themes on projects now and I have found them to be solidly coded and very nice. Plus, they cost less than most. WPZoom is awesome. They have a fantastic collection and they’ve been around a while. They also add a few nice features such as some shortcodes you can use to create buttons and other elements within posts and pages. Theme Trust is a slightly smaller marketplace, but they’ve been around a while and have built some solid and well-designed themes. I’ve utilized about half of the themes they offer on various projects. DesignWall does absolutely beautiful work! They also sell some plugins as well as some design file bundles along the way, but their major themes are very clean and eye-pleasing. Those are my favorites. There are others, certainly, but I’ve used themes from all seven of these providers and I trust them completely.